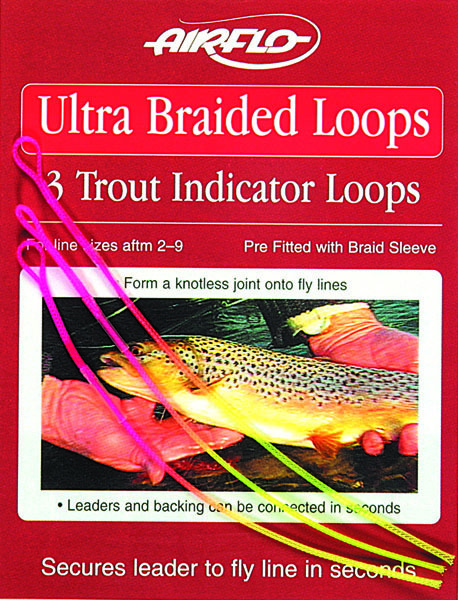 Hi Vis braided loops prefitted with plastic braid sleeves. Use to join leader to the end of your line. 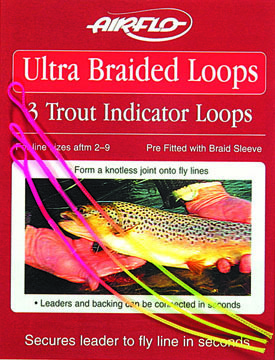 Available as a 3 pack of Hi Vis Indicator loops - Fl Yellow with glowing Fl Orange Loop.